It’s no secret that lack of sleep can really mess with your day. You roll out of bed and stumble into the bathroom, stubbing your toe on the side of the door. Standing in the mirror trying to apply makeup to eyes half shut, and finally getting your coffee only to realize that you’re probably going to need several more cups just to survive the morning! The will to get out of the bed when you’ve only had a few hours of good sleep is only the beginning of what it will take to get through the day. Most of us are immediately feeling grumpy when we’re not well-rested. We feel sluggish, irritable, and tired, and even the simplest of everyday tasks feel like a real chore to get through! We may be experiencing an achy back or muscles from tossing and turning, our bodies feel run down and our minds aren’t quite up to par either. We find we may not be as productive or easily able to focus on tasks throughout the day. Our minds and bodies resting every chance they get, ready to fall back asleep as we hunch over our desk trying to get through what seems like a mountain of work! The truth is, not getting the right amount of sleep not only ruins your day, but it can wreak real havoc on your health too. Chronic sleep debt has been shown to negatively affect blood pressure, and it can make you prone to serious medical conditions such as obesity, heart disease, diabetes and more. It doesn’t just effect your body either. Lack of sleep has also been linked to depression and anxiety as well. You may find that even with doing all the right things to help yourself wind down at night (turning off the gadgets a few hours before bedtime, turning down the lights, enjoying something relaxing before bedtime, limiting distractions while you sleep, limiting caffeine, etc) you still find yourself having trouble sleeping at night. While there could be many causes (one of my biggest problems being able to shut my mind off at night), sometimes the solution can be as simple as sleeping in the correct bed. 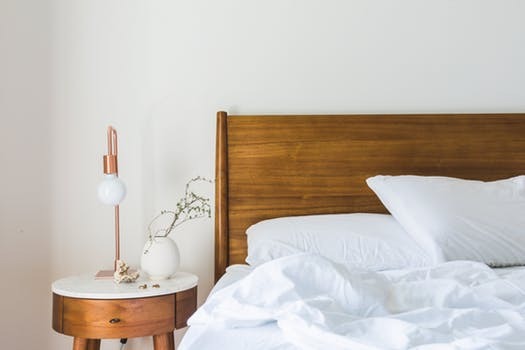 While most of us already know that we sleep better on certain beds versus others, what you may not know is that the level of firmness of your bed absolutely plays a role on how well you sleep.